On Friday, 29th June, Spark* hosted 11 kids from the Chernobyl Children International charity. All the traders on site came together to provide a fun-filled day packed with games and activities for them to enjoy. 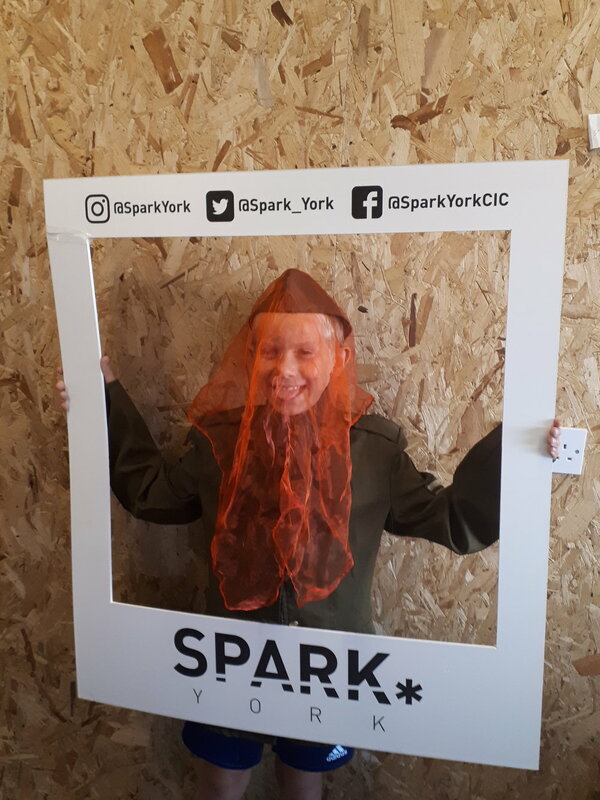 The visit was organised by Emily Deckers, owner of Spark business York Nurturing Community (YNC). The Chernobyl Children International is a non-profit, international development, medical, and humanitarian organisation that works with children, families and communities that continue to be affected by the economic outcome of the 1986 Chernobyl Nuclear disaster. The children come to York from Chernobyl once a year for a month to access medical care, dental work, scanning for cancer and to be hosted by some fantastic families who have been invested in their wellbeing for the last 5 years. Emily Deckers said of the trip, “We want them to feel the community love and appreciation that York has to offer by opening up to them a host of different activities and foods to enjoy.” The kids had the opportunity to make their own burgers and pizzas with Sloppy’s Burgers and Dough Eyed Pizza. Jody Toner from Toner and Co. provided free haircuts, while BNHO organised a treasure hunt which the kids absolutely loved! They were also treated to hot chocolate from CWTCH, crepes from KREP and mocktails by 4swings. The day culminated with the kids taking away a bag full of memories and goodies courtesy of Lush York, Choc Affair, Disney, Life & Soul clothing and of course, the Spark team!